Two white dove stories or experiences. The first wishes to remain anonymous. 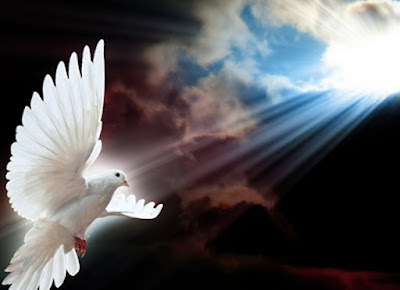 These posts are where readers tell of seeing doves following a loved ones death. My wife died in hospital following a long illness. As heartbroken as I was it was almost a relief that she was no longer in pain. I hoped beyond hope that she would now be at peace. The morning after Maggie died I went downstairs to breakfast. I hadn't slept very much and bleary eyed looked out of the window. At that exact moment a beautiful white dove landed on the grass and sat looking at the window. I opened the door to have a better look and I swear that the dove looked at me with a sad expression and then flew away. That evening the dove returned. I had never seen one in my garden before. Again as I went outside the dove looked at me before flying and circling my house. On the day of the funeral, there was no dove to be seen until the coffin was being lowered into the ground. I don't know if it was the same one, but it sat on a tree branch, high up, looking at what was happening. My son says it's simply all a coincidence but I feel deep inside it was Maggie watching over me, signalling she is all right. I hope so. My nephew passed away this past Tuesday, August 25, 2015 on a motorcycle accident. He was only 25. He was a compassionate and an ambitious young man. Two days after his passing a white dove appeared in the yard of his parents house and would not leave even when some people tried to get him to fly away. The dove persisted on hanging around his fiancé and appeared when his aunt was praying and calling to him. We have never seen a dove around our town or city. This is very unusual. We believe this was our nephew's spirit letting us know he is in peace. Was The White Dove Messenger From Her Dead Mother? Divine Intervention Through Casting The Burden - Or Perhaps Not! To many this will sound bonkers. My car went in for an annual service and I was told it needed a new battery. I agreed, and this was replaced. Problem was that, by disconnecting the battery, this affected other things. It was all righted, except for the car radio, which would no longer work. To correct this the mechanic needed the radio code, unique to my radio. He thought he had the right number, but whatever he did the radio wouldn't make a sound. The assumption being that the code was wrong. But, no easy job getting the right code. I'd have to travel to the car's main dealer, with proof of ownership, and then they would obtain the code by attaching a special computer - not the normal diagnostic computer that car service mechanics use. I didn't really want to do this and waste a day, but accepted I'd have to do what I was told (for a change). 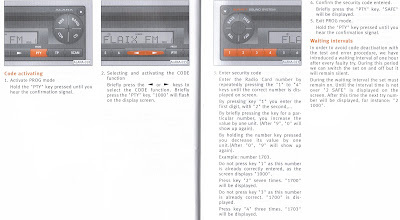 I tried entering the code myself, by following the instructions in the car radio manual, but it wouldn't work. Worse still, if you get it wrong once, you can't try again for at least an hour - supposedly for security reasons. 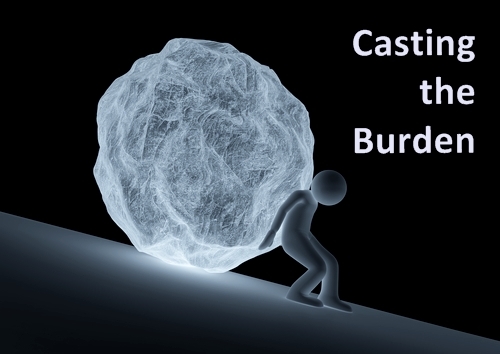 I was a bit narked, but that evening I picked up a book from the mountain in my office, opened it up and it was telling how, if you have a problem, you should "cast the burden". By this it means that problems aren't ours, they belong to the universe to solve. Okay, I said this would sound bonkers to many people! Anyway, that night, I cast the problem of my car radio onto the universe by saying that I believed the answer would come as to how I could get the radio working again, without a trip to the main dealer. Next morning I read my horoscope in the newspaper (something I don't normally do). It read: "You have to trust that you know what you know and you know what to do. Even if the solution to a problem doesn't seem immediately obvious to you, the right way forward will reveal itself just at the moment when you most feel in greatest need of guidance." This made me smile. After I'd read this we had to go to the supermarket - not something I enjoy - and we parked as near as possible as it was raining. 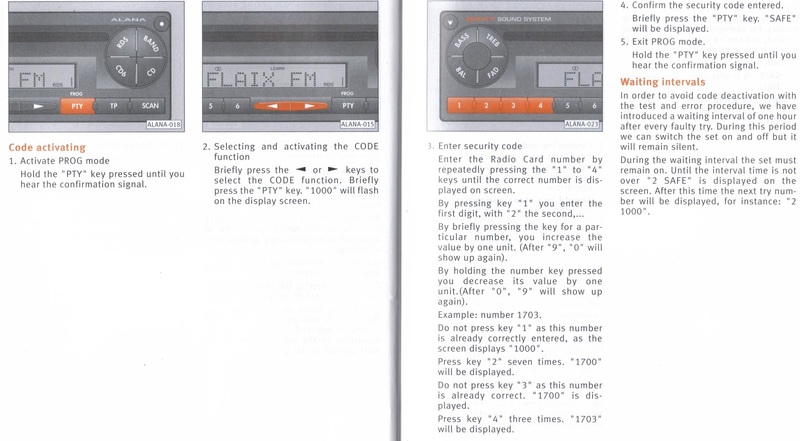 My wife got out of the car, but for some inexplicable reason I stayed where I was and fed the code number into the radio, But, instead of following the procedure stated in the handbook, I pushed other buttons as well. There was a glare from my wife - she was getting wet in the rain! But then magically the radio started to play! Somehow I had got the radio working again - goodness knows how. I certainly didn't do what the manual said. So - divine intervention, coincidence or pure luck? Whatever, it pleased my wife, despite the rain, and I'd earned myself a few brownie points! Here's a coincidence story I saw in a copy of the Daily Mail newspaper. Back in 1976, I was working for Marconi on the Exosat satellite programme. The German Messerschmitt-Bolkow-Blohm (MBB) was the prime contractor. I had to go to a meeting at MBB headquarters in Munich, and my golf partner and colleague at Marconi was working nearby. I rang him and asked whether there was anything I could bring him, and he replied, "I'd love a bottle of Scotch." I asked him how I would get it too him, and he said to call him when the meeting was over and he would come over to MBB to pick it up. I duly took the bottle to Munich. My meeting overran, so I made a local call to ask him what to do, "Leave it in reception and I'll pick it up in the morning, he said. 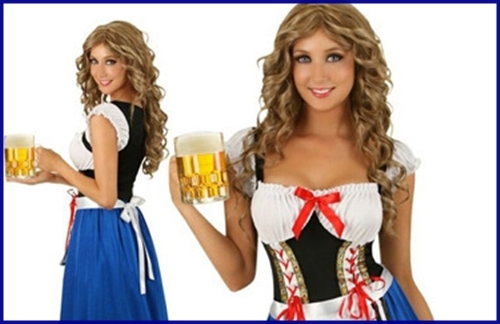 So I did and behind the desk was a gorgeous girl in traditional Bavarian dress. Not having good enough German, I explained slowly in English that the package was for a friend who would collect it the following day and added, "Do you understand?" She replied, "Sure I do." I asked where she was from and she told me, "The United States." Her next three answers narrowed the location to a little town near San Jose, which she said, I wouldn't have hear of. I had learned her name by this time and suggested, "Try me, Elizabeth." I don't know which of us was more surprised when she said, "Los Gatos," and I replied that my daughter was at that time doing a graduation year in Los Gatos High School, near San Jose, California. The arm of coincidence is very long for me! Here's a coincidence story from Sarasota. Hortense Witker writes: "Here's one that has me puzzled. A real mystery or coincidence. It all came about when a friend of mine in New York City sent me a gift which she purchased and had wrapped and mailed from a drugstore in her neighbourhood. When I opened it, I found a small box was made secure in the larger one by a crumpled newspaper and that paper was a copy of a Sarasota newspaper. Now, I wonder what was a small drugstore in N.Y.C. doing with a Sarasota paper almost four years old? To add to the coincidence, in the obituary column of the newspaper, a death was noted of a woman who once owned the very same apartment building as where I am now. Coincidence or whatever you wish to call it. It really got me." A coincidence story I received a while back. I just found your blog and thought I'd share a funny story with you. I was born in a small ranch in Mexico and was to be named Ana but My godmother decided Deisy suited better and my mom agreed. 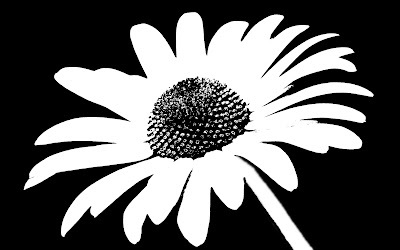 Eventually we moved to the US and at age 7 I found out Daisy was English for Margarita which happens to be my mom's name. In High school I met and eventually married Jesse. In Spanish his name is Jesus, which is my dad's name. Here you have Margarita and Jesus and now Deisy and Jesse. As if that's not enough I should also add that my parents marriage was not the best and neither was ours, Jesse and I separated and now my parents are too. Just thought I'd share it with you as I had not met anyone before who payed as much attention to small things as I have. Some will no doubt say the following story is a coincidence, while others will call it a spiritual connection or maybe precognition. But, whatever, it makes you think about how such things can happen. I had a dream the night before my great-grandmother passed away. I hadn't seen her in about a year as she lived in another state and I hadn't talked to her in about a week. I found out later this was because she was in a coma. In the dream I had been in my room when the phone rang, I answered it and I heard my grandma. the conversation went like this. "How are you doing? I miss you a lot"
"I haven't been feeling too well, I miss you too"
"Well at least I'm coming out next month then I can see you and mom and the rest of the family"
"They will be so happy to see you. I wont be there though I am leaving this week. I love you. I have to go now"
"I love you too. Maybe you'll be back from your trip by the time I get out there." That is where the conversation ended and I hung up the phone. 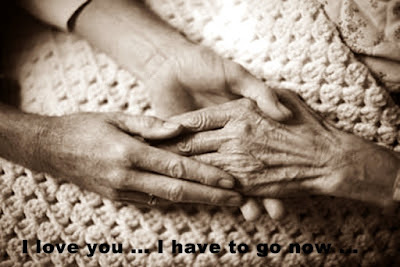 The next morning my dad came in my room and told me my grandmother had passed away earlier in the morning. This happened in December of 2005. I was 11. Till the burnished brass did glimmer and shine. They plunged him in the cauldron red. and melted him lead bones and all. 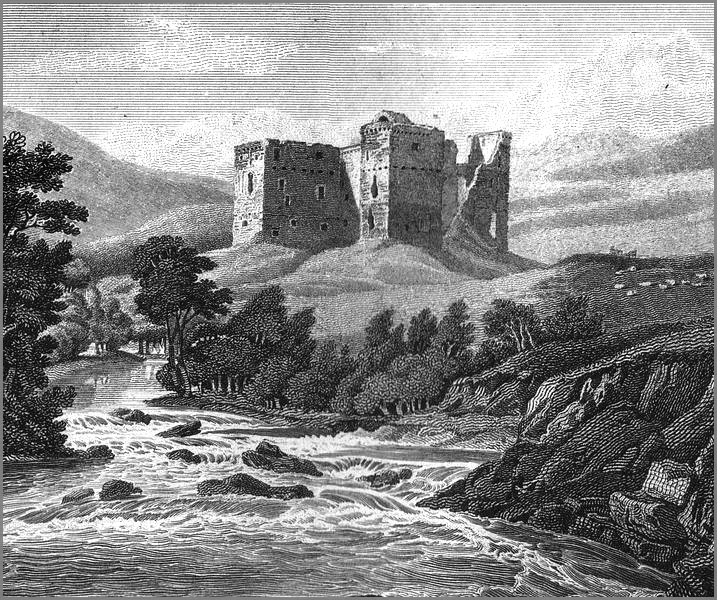 Hermitage Castle, in the Scottish Borders, was built around 1240 by Sir Nicholas Soulis. His son William became known as Bad Lord Soulis and was familiar with the Black Arts. This led to tales of local children disappearing and never being seen again. It was rumoured that they were locked in his castle dungeon and used for his diabolical rituals. There's always a straw though that breaks the camel's back. In this case it was in 1320 when the evil lord began to lust over a certain young woman with the surname of Armstrong. He was determined to have his evil way with her, with force if necessary, as he had done with many other women before. He was on his way to to satisfy his desires when he was confronted by Miss Armstrong's father, who had became aware of William's lust for his daughter. But nothing would quench Soulis' desire so he killed the young woman's father. Many local people saw the killing and they rose up to take revenge, but the Laird of Mangerton arrived on the scene and called for calm. 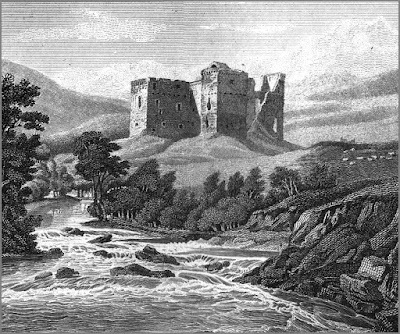 He escorted Soulis back to Hermitage Castle. Lord Soulis' pride was hurt, by the way he had been saved by an inferior man such as the Laird. He decided to get even, so he invited the Laird to a banquet. Arriving at the castle the Laird was killed. His grieving friends bore away his body to be buried at Ettleton Cemetery. 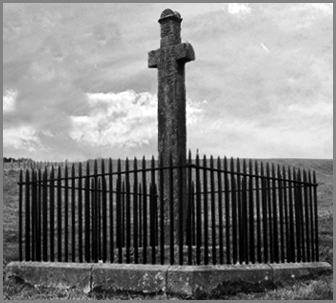 The next morning he was laid to rest, and later, by the roadside, beneath the cemetery, a cross was erected, the Milnholm Cross, to mark the event and passing of a respected and much loved Laird. The local people were seething at the loss the Laird and somehow this unrest reached the ears of the King who is said to have exclaimed, "Soulis! Soulis! Go boil him in brew!" Soulis was overpowered and taken to Ninestane Rig, high up in the hills by a Druid circle. There, a huge cauldron and fire had been prepared and the Lord Soulis was wrapped in lead and placed in the cauldron where he was boiled to his death. Of course, like a Chinese Whisper, as the years pass, stories seem to get embroidered and altered. Newark: The body of a Newark man lies in a cemetery near Boston as the result of a coincidence involving two men with the same name - John J Murphy. 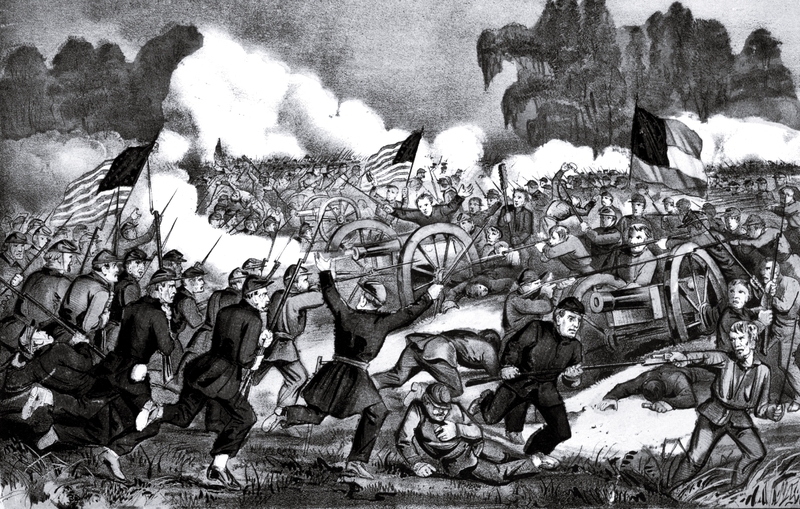 The story began when John J Murphy, of Newark, died of natural causes at a local hotel. The same day, another John J Murphy, who has a sister in East Boston, Mass., was admitted to St Michael's Hospital for a hernia operation. Somewhere along the line, the body of the Newark Murphy was mistakenly identified at a funeral home as the Boston Murphy. The police asked Boston authorities to advise Mrs Mary Newman of East Boston that her brother had died. Funeral arrangements were made and subsequently the Newark Murphy was buried at Holy Cross Cemetery, Malden, Mass. 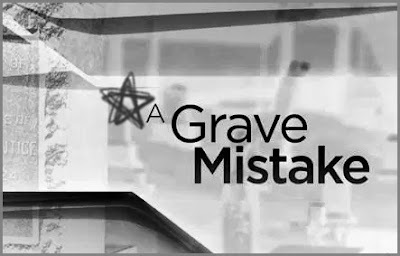 However, the mix up began to unfold when Mrs Newman began to doubt that the man buried was actually her brother, although she had not seen him for 15 years. She went to Newark and found her brother quite alive at St Michael's Hospital. The Murphy who was buried was a brother of Charles Murphy, a mason's helper employed by the City of Newark. His wife said she was making efforts to have her brother-in-law's body returned for burial. "It was all such a terrible coincidence," she said. We were walking by the river in Truro, Cornwall when we came across lots of crows living in the tall trees by the water. That's one of the Truro crows above. 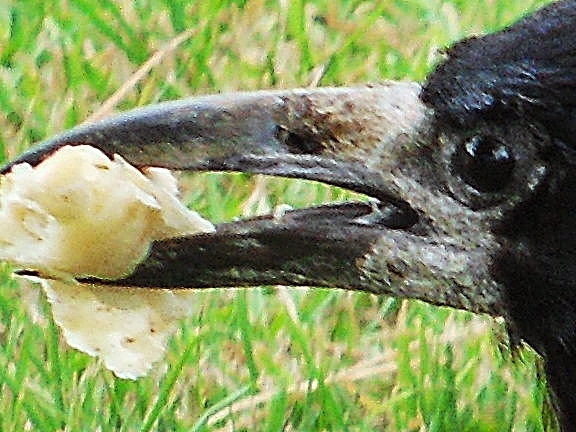 I snapped a photo of him as he was having his lunch. The god Hephaistos must have had human like qualities because he lusted after the goddess Athena. To try and have his evil way with her, he tricked her into being alone with him. He then, to put it politely, was full of desire for Athena. Unfortunately for him his act of passion wasn't completed and his seed fell to the ground. Athena kept her virtue but Mother Earth conceived Hephaistos' child. When born the poor baby was very ugly with a serpent's tail instead of legs. He looked half boy and half snake. The child was given to King Kekrop's daughters to bring up, but they had instructions never to look at him - which must have made child care a little difficult. King's daughters, being what they are, they decided to take a peek at the baby. The sight of the child drove them mad. So much so they felt compelled to hurl themselves off the summit of the Acropolis. No I haven't forgotten the crows! A crow, who just happened to be Athena's favourite bird in all the world, told her about the bad news of the King's daughters. Athena was actually still building the Acropolis at the time. She was so shocked by the story that she dropped a huge boulder she happened to be holding. The stone can still be seen today as Mount Lykabettos. Athena was all shook up about the news and also for dropping the boulder. She decided to take action against the crow and crows in general. Athena banned all crows from the Acropolis forever and she turned their feathers black. So, never make a goddess drop anything as you never know what the outcome might be. Continuing on the theme of odours, smells or perfumes following the loss of a loved one. Here's Cynthea's experience. Many years ago, when I was a pre-teen and my sister was about 6, we used to help my mother clean house on Fridays. One Friday she called us both into her bedroom and asked us if we smelled anything unusual. We both did and it was an odour of flowers. A heady odour. We all thought is was unusual because there were no flowers in her room or in fact in the house at all. It was late summer but cool so the windows were not open so it couldn't have come from outside. On Saturday we got a call that my great aunt Lydia had been struck by a speeding drunk driver in the little town near us. Naturally everyone was upset and there was a lot going on as my mother had to go and pick up my grandmother to take her to the hospital, hopefully before my great aunt would pass away as her injuries were grave. My great aunt was her sister. The flower odour in the bedroom was forgotten. They didn't make it to the hospital in time and my great aunt had already passed. Fast forward to the day of the funeral several days later. When walking into the room where my great aunt lay in her coffin it struck us right away ... there was the overwhelming odour of flowers! The very same odour we had smelled in my mother's bedroom! It is a very vivid memory that I have of that time period. I recently published a post Stepping Into A Different Time Zone Or Time Slip and, because it was quite popular, I thought I would re-publish a similar themed story from five years ago. This was from a Mr. Thomas and is about a time shift and seeing into the past and perhaps a former life. I had cause some years back to go and collect a load of straw from some farm buildings in Gloucestershire. A colleague, Anne, came with me for the ride, which I undertook in a small lorry, not much bigger than a pick-up truck. I collected the straw and took this to the lorry. I noticed that Anne looked a little strained when I got ready to drive back, but I didn't mention the fact to her. After we had delivered the straw she told me what had happened at the farm. She said that as soon as I had left the cab, to load the straw, the whole place changed. She was now in a courtyard with other buildings at the side of the yard. She saw herself as standing in the centre of the courtyard but as a young woman of about fifteen or sixteen years old (whereas in fact she was in her early twenties). The young woman she saw in the courtyard in no way resembled her and was dressed as a servant girl from past centuries. 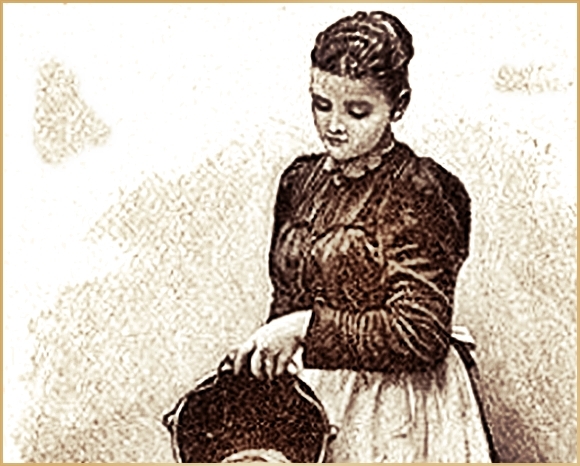 Despite this she instantly knew this woman was actually herself and she suddenly found herself standing in the courtyard, and she 'became' the servant girl. 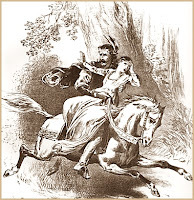 A horse came galloping into the courtyard, the rider dressed in old style clothes and wearing a three cornered hat. The horse reared up into the air close by her, frightening her, then another horse and rider galloped in and did the same thing. She was aware that the second horse and rider had chased the first one into the courtyard. She was terrified and knew that they were going to fight. She could not get from in between the two prancing horses, as the two men fought with swords. She did not experience being killed, but knew she was trampled to death under the hoofs of the horses. Anne said the whole incident appeared to take about ten minutes but, in reality, she knew it had only been a few seconds. She swore she had not been to sleep. Later I discovered that the place concerned was, centuries ago, a manor house farm and the foundations of the original buildings were where my lorry was parked. I believe that the reason why she had this vision was because her subconscious was excited because she was on the exact spot where she was killed so many lifetimes ago. 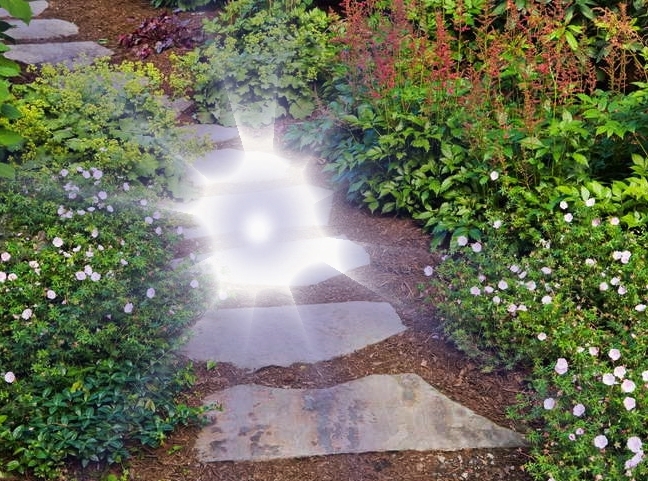 This glimpse of a previous reincarnation may have been to give her a shock so she would start thinking about what her present life was really for. Don't know if readers will agree with my explanation. A story today from someone who wishes to remain anonymous. The question is: does this show that there is life after death - this time from the smell of perfume? Or, maybe, it's simply a figment of the imagination to help with bereavement? My sister and I were very close. We would finish each others sentences, pick up the phone before it rang if either was calling the other, knew if the other was sick or something big was up, and so on. In 2003 she was in the hospital with pancreatic cancer. My family and I would take turns staying with her so she wouldn't be alone. Every time it was my time to stay with her, I would find pennies under the glove station on the wall, without fail. The day she died, my mother was to relieve me and was supposed to come in the evening. She called ill and I told her to stay home, we were fine, and she could come the next night if she felt better. My sister and I were sitting side by side, holding hands, and talking about life, and death,. She told me she knew she was dying (the doctors had never said this, they never had a certain diagnosis until the autopsy). She asked if I thought she would go to Heaven. I told her there is one way - through Jesus, which she understood. I told her to talk to Him with sincerity, ask forgiveness, and ask for his blessings. She bowed her head and (I assume) talked to him. After a few minutes, she turned to me and said "I love you.". I said "I love you, too". Then she died. To this day, I feel I was supposed to be there, and that my mother could not have handled it (being sick), and that Jesus left a way for my sister to be sure of her salvation. If anyone else had been there, she would not have asked, so they would not have told her. When the day of the funeral came, it was sadness all around. She was well-loved and she loved everyone. Mother was in heavy grief. I drove her home from the funeral. When we got there, I went to open her door to let her out. To get to the house you had to walk up a short gravel walk 2-3' wide and maybe 10' long, then up 2 stairs to the porch. I walked her up to the house, made sure she was in okay and went to shut the car door. When I got about half way down the walk, I smelled the headiest, most sensational smell I had ever smelled. Like lilacs, magnolias and camellias all at once, in one spot. I could walk into it, and walk out of it. And did so, several times. I walked around the house to find the source, nothing was blooming. Looked up the street and nothing was blooming. It made me smile. I knew it was my sister. I walked back into it, then went to the door, calling Momma out. She comes out puffy eyed from crying, weak from grief. She asks, "What's wrong?" I tell her, "... nothing is wrong, nothing is wrong, take my hand, just please come with me." We walk down the stairs, and walk right into the smell and stop. Momma looked at me and her eyes got round as saucers. She smelled it too. Her face lit up and she knew all was well with her daughter. We went back into the house. For days the small stayed in the walkway between her living room and the entry way. To get to the living room you had to walk through it. As a footnote I'd like to add a personal note. If I were to accept that there is a Heaven I wouldn't believe it was only exclusive for a certain religion - i.e. in the case above, through Jesus. It would surely be for everyone. If, as some believe, God made man He would have to treat all of mankind the same. I read this snippit in a newspaper earlier this week. A man has been reunited with a wallet he lost on a train journey more than 30 years ago. It was discovered at the back of a seat in a railway carriage being restored at a heritage railway. It contained, amongst other things, a £1 note - long out of circulation - a booking slip for a trip to Ireland and a 1982 receipt with an address for a Derek B Gamble in Rugby. 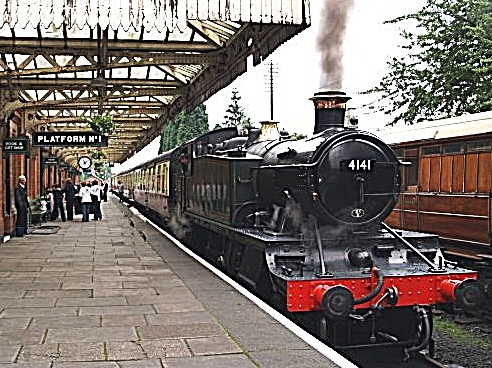 Michael Massey, a volunteer at the railway, decided to try and track down the gentleman and found him now living in West Haddon, near to Rugby. Mr Gamble, a farmer, who was in his 30s when he lost the wallet, said, "I am pleased and not a little surprised to be reunited with the wallet. It's contents bring back memories of what my family and I were doing over 30 years ago." Mr Massey said it must have been lost when the carriages were on the Great Central Railway at Loughborough, another heritage line. * Mrs Vernon C. Capo of Cortez became the mother of twin boys on Thursday. * Mrs Capo has a twin sister. * Her husband has twin brothers. * The nurse who attended the birth has twin boys. * The doctor involved in the birth has a twin brother. * Then on top of this the man who reported the story to the newspaper has twin sons. 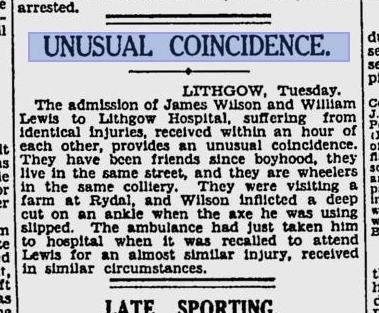 Turning back the clock today to a July, 1913 news item. As per the Gettysburg Times: "A remarkable coincidence was the meeting of two men with exactly the same name, but, in different states, one of whom fought on the Union side in the Battle of Gettysburg, and the other with the Confederates. 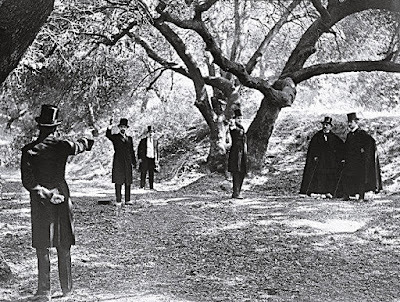 "These two men are John Carson of Burlington N.J, and John Carson of Burlington N.C. How they come to meet was by the merest chance. "The Jersey Carson was walking along one of the streets, and saw a man in grey. Just to be friendly, the Jersey man stopped him and gave a greeting. It was not until they had talked for several minutes that they discovered that their names were identical, as well as the name of their towns. They were so tickled with the coincidence that they walked together, for a mile in the broiling sun, to tell the press their story." Strange things began to happen in the house after the Morreras moved in - toilets flushed on their own, even after the plumbing mechanisms in them were replaced ... but it was two weeks before Thom Morrera literally ran into the ghost. On his way down to the kitchen in the middle of the night, Thom met something on the stairs. He explained: "I was on the last couple of stairs and I could feel some kind of pressure against my body. I could feel there was somebody there." The ghost made its presence felt again when Meg left her wristwatch on the couch. When she came back to get it, the watch was gone! The couple turned the couch and the living room inside out looking for the watch, but it never turned up. Several weeks later, however, they found the watch in the exact place where it had been originally left. The Morreras characterise the 'spirit' as playful and inquisitive. The flushing toilets, and missing watch they chalk up to the spirit's curiosity about things the ghost had not seen before. Morrera said, "When there are things that are unfamiliar to ghosts they want to play with them. She's never done anything that's really destructive. The most intrusive incident was that of Meg's wristwatch, but Thom pointed out that the ghost was careful to replace it. 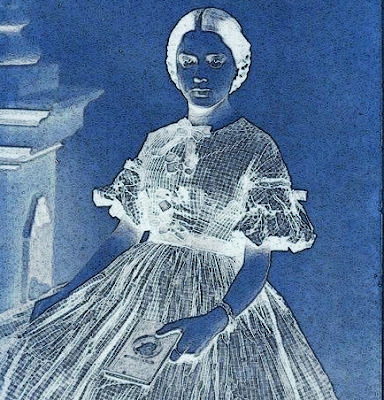 The couple believe their ghost is a young Victorian girl in her mid teens. They were thinking about what to call her, while husband and wife were in different parts of the country. By 'coincidence' they both came up with the same name: Gretchen. It's theorised that the girl has the ability to project information to them. The couple are comfortable with Gretchen and see no reason to evict her! It's white feathers again today with a story about Cilla Black, who sadly died this week. 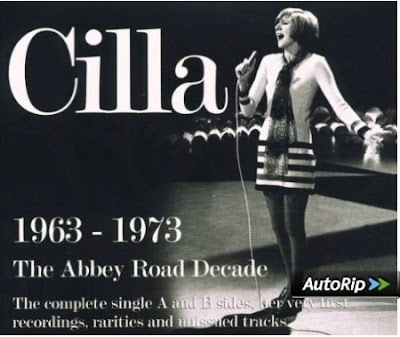 For those who may not know, Cilla was a singer at the Cavern Club at time of the Beatles and went on to have several chart hits. Later she become a television presenter. She was 72 when she died..
"Since Bobby's been gone, I've had several little messages from him, so I know he's looking after me. He advised me from the spirit world that it was time to give up Blind Date [a TV show she presented], so I did..
"Gloria Hunniford told me that after her daughter, Caron Keating, died, she'd often find a white feather in the most unexpected places. She believed it was Caron's way of telling her that she's all right..
"So one day I went into the garden, where some of Bobby's ashes had been buried under a willow tree - the rest were scattered at our other homes in Spain, Barbados and on the roof terrace of our flat in Westminster..
"I told him that if he was supposed to be my guardian angel, I needed some proof. Suddenly, I looked down and there were five white feathers. I could swear they hadn't been there earlier. "It was as though he was saying: 'You want feathers, Cilla? Here they are.'". A while back I wrote about someone who claimed that, somehow, they had slipped into another time zone - experienced time travel if you like. Here's a similar experience from Penny. Wonder what you think? I had an experience in my late 20's or early 30's that made me wonder about time shifts or place and time bleed-throughs. I lived in a New Jersey town for 20+ years, but one afternoon on a busy corner of Broad Street, I stepped off the sidewalk and onto the road. 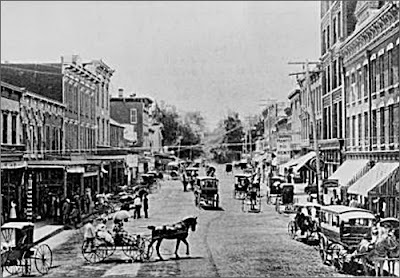 Just like that I appeared to be in another era of that town, perhaps the 1800s or early 1900s. Everything looked a little hazy and my view was a bit narrow (not being able to see too far on either side but to the right of me). The weather was still warm, the sun as bright as before. Only now the road was cobblestones (exactly as they used to be in the 19th century, I found out later) and to my right was a horse-drawn carriage. By then I was standing petrified and confused in the middle of the road. The carriage was approaching, the horse braying, and I could hear the traffic of horses hooves and footfalls. Behind me and before me, the area (not clearly remembered) was as busy (crowded) as normal reality had been moments before. Then just as soon as it began, I was back in normal reality, nearly mid road and totally confused. The whole thing didn't appear to take more than half a minute. The "visit" was a normal feeling, perhaps a bit more heightened. Then the same "visit" occurred about a year or so later, exactly as before - same spot. Again, as I stepped off the road. I saw the same past time scene. It might be worth mentioning that I seldom get confused in crowds, but that it happened twice in the same spot, surely must point to something having happened there once upon a time. The time stamp on that spot - if disregarding my having perhaps lived there decades ago - might be picking up on a moment in the life of another woman from a bygone era . . . .
Further to my previous post Coincidence Leads To Twins Reunion there is more to this story than I first thought. Several people contacted me about this. 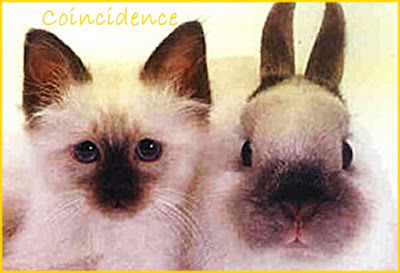 It appears that the coincidence is well known on the US and has been reported on television. Peter Shafran directed me to more information. After the two 'twins' Robert Shafran and Eddy Galland re-united this made headlines in some newspapers. So much so that a David Kellman, a student at Queens College, contacted Shafran and Galland telling them that he also looked very much like them. 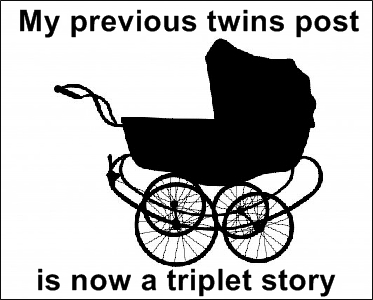 This became quite a story as this had now become a reuniting of triplets. According to Newsday the triplets had a natural sense of humour and started making the television talk-show rounds 'and even landed bit parts in the movie Desperately Seeking Susan' and on the TV show, Cheers. My thanks to all, mostly through Google+, who got in touch with me about the story. Robert Shafran, a new student, was puzzled when he arrived at Sullivan County Community College and was greeted by men who patted him on the back and women who hugged and kissed him. "I'm not Eddy," Shafran replied. He was startled when one woman did not believe him and told him of a birthmark on his body! Shafran found Eddy, with the help of Michael Domnitz, who saw an uncanny resemblance between Shafran and Eddy Galland, a former student at the school. With Domitz' encouragement, Shafran called Galland. "Eddy," Shafran recalled saying, "My name is Bob Shafran. You won't believe this, but I think you're my twin brother. The two traded statistics. 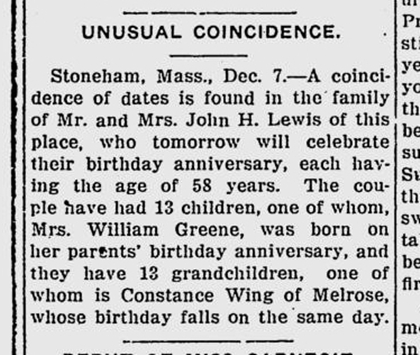 They were born within 27 minutes of each other on July 12th at Long Island Jewish Hospital Medical Center; both were adopted through the same agency within six months after birth; both were 5 foot 9"; and both had brown eyes and curly brown hair. Shafran and Domnitz went to Galland's home, where Shafran and Galland stared at each other and scratched their heads and in unison said, "Oh, my God!" They spent the next three days recalling their lives. There was one difference between them Galland is right handed and Shafran is left handed (so perhaps they are mirror twins). Neither knows who his biological mother and father are. Galland told the Lawrence Journal, "I think the whole thing is beautiful, but it's also a little spooky to know there is somebody exactly like you. One of the the most popular themes I have covered on this blog is that of White Feathers - where they are seen following the loss of a loved one. Okay, I know this isn't everyone's cup of tea, and that many mock such things - that's fine! I first raised the subject in 2010 because I experienced this myself. I saw white feathers, and in unusual circumstances, following the loss of three very close people within a short period of time. I wrote back then: "The feathers felt like they were messages saying that things were alright. 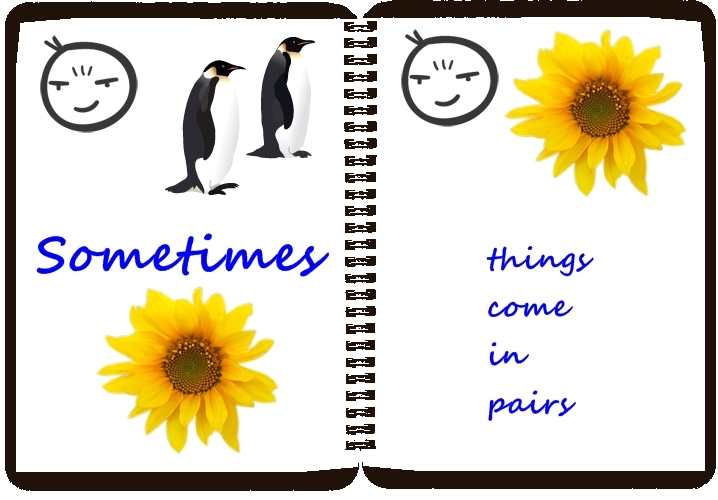 Often, after we saw one, something nice would happen. 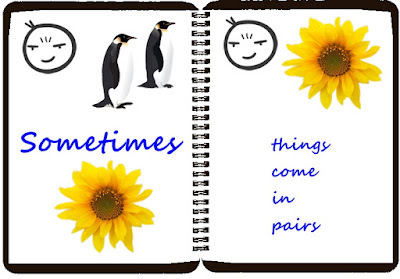 Of course, when we are emotional, there can be a tendency to hang on to whatever we find comforting. Some would say that the white feathers were like a crutch. It's very easy to dismiss white feathers as something by chance or even superstition - feathers perhaps simply out of pillows, or even birds!" Anyway, whatever your view. Here's a few more stories, some are anonymous - as the people concerned do not wish their names mentioned. "My brother died last month following a long illness. We were very close and it was a heartbreaking time. He died in hospital. Towards the end I visited him whenever I could. On his final day I stayed until midnight but the nurses persuaded me to go home and to get some rest. I did what they said. At six o'clock in the morning the phone rang. I jumped out of bed, knowing who it was. It was the hospital telling me my brother had died. There was a white feather on the table next to the phone. I headed for the hospital, as soon as I could, and on my car seat was another white feather. I've no idea how it could have got into a locked car. When I was inside the hospital the nurse, who had been so kind to me, said, "There's something on your shoulder." It was yet another white feather. The feathers kept coming until after my brother's funeral. I really do feel they were messages from him." "I lost my dad on July 24, 2015. July 26th, while dealing with a contractor at his house, I found a white feather on the door handle of my car, finer than goose down, I didn't think anything of it, and blew it off my car with a mouthful of air. Yesterday at the bank, I talked to an elderly gentleman who told me of finding a white feather the day his daughter passed away from cancer. Then, while talking with a friend of mine who had lost his dad, he told me to look out for weird things to happen, and mentioned his own white feather story. A friend and a stranger brought it up without any prompting. I am ex-catholic, and proudly agnostic but this has changed me, be it religious, or just a spiritual thing. I had never heard of this before searching the internet for any info or other's past experiences - goosebumps for sure..."
And it appears to sometimes even happen when people lose pets! 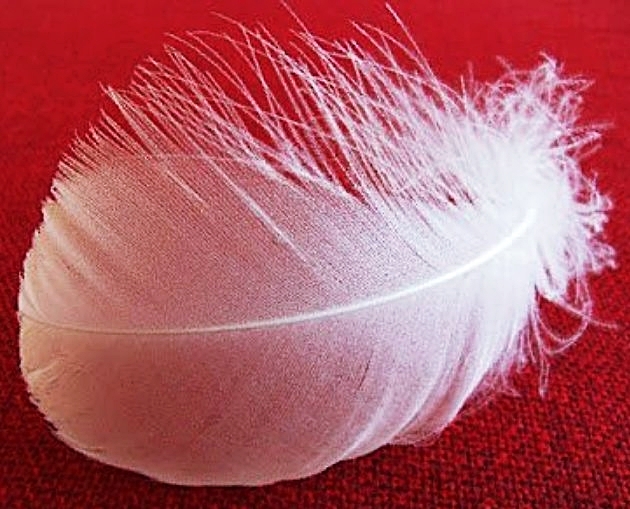 "My lovely dog Bugsy was put down 7 years ago and we randomly get white feathers. Today my beautiful dog Fergie was also put down and there was a large feather under the kitchen table just before the vet arrived. It made me smile that Bugsy was telling me she was going to look after her." If interested, you'll find lots more white feather stories on 67 Not Out. A short, hard to believe classic coincidence is about the duelling life of Henri Tragne from Marseille in France. Between 1861 and 1878 Tragne is said to have fought five duels - though I'm not sure 'fought' is the right word because, in the first four, his opponents all dropped dead before a single shot was fired. The fifth duel had a different outcome. This time it was Tragne who died - of natural causes and, again, before the first shots had been exchanged. The saying about being scared to death is often used but the outcome of Tragne's duels must surely have been written in the stars.